The number of people who purchased traditional Japanese-style gravestones has halved over the past 14 years but Western-style memorials remain popular options, and those with designs unique to the deceased have experienced a sharp rise, according to an annual industry survey. 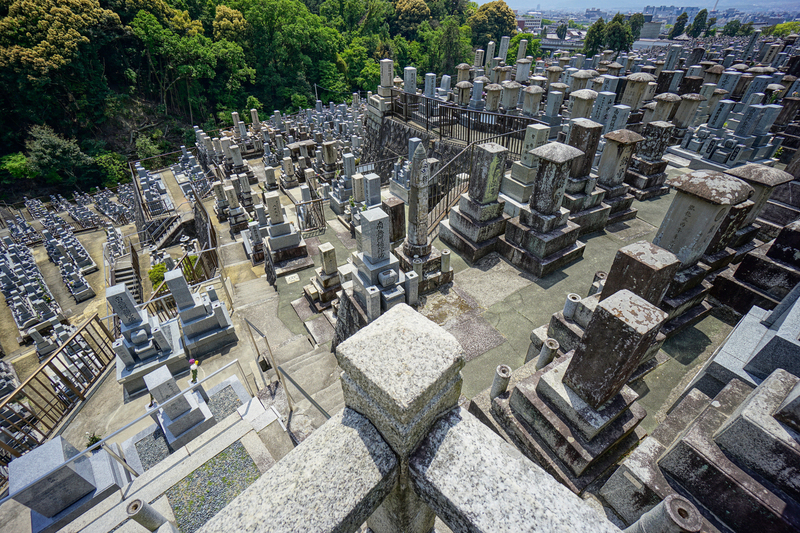 This year’s survey by a Tokyo-based national association of gravestone dealers shows the average cost of gravestones was ¥1.63 million, down from ¥1.74 million in 2004. Customers attached great importance to the color of the stones and quality of the materials, as well as cost. “Reflecting economic conditions and concerns about natural disasters, customers prefer the types of gravestones that are reasonably priced and sturdy, as well as those that represent the character of the deceased,” said Go Yoshida, the head of the association. The association has carried out the survey every year since 2004. This year, 2,437 customers who purchased gravestones from around 300 affiliated stores of the association responded to the survey. The most popular option was Western-style gravestones, which were purchased by 43.7 percent of the total respondents. Purchases of such stones surpassed Japanese-style memorials for the first time in 2015. Western-style gravestones are not only more reasonably priced than Japanese ones — saving customers tens of thousands of yen — but also earthquake-resilient as the stones are typically wider, while Japanese memorials are taller and tend to fall over more easily. 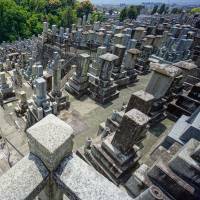 Demand for such gravestones has surged since the Great East Japan Earthquake in 2011, which devastated Iwate, Miyagi and Fukushima prefectures as well as other surrounding areas. A total of 35.2 percent of the total respondents purchased Japanese-style graves, which is believed to have become prevalent among commoners during the Edo Period (1603-1868). The percentage has declined steadily from 66.5 percent in 2004, when the association started the annual survey. Designs that reflect the lifestyles or hobbies during one’s lifetime, such as the shape of a sake barrel or a piano, have increased in recent years. The percentage of those who purchased uniquely designed gravestones was just 6.1 percent in 2004, but it rose to 16.2 percent this year, an increase of about 3 percentage points from 2017.